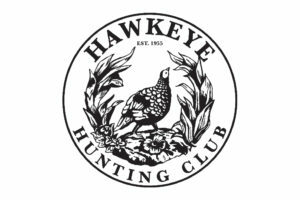 HSCF Weekend at Hawkeye Hunting Club in Center, Texas! Hawkeye Hunting Club has operated continuously since 1955 in the piney woods of East Texas. 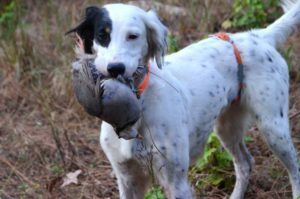 In late May 2015 Houstonians Elizabeth and Mark Brueggeman purchased Hawkeye and embarked on a multi-year restoration project that included remodeling all five hunting lodges, building a new dog kennel, moving and improving the sporting clay course and chukar shoot and opening up more fields for hunting for the regular upland bird season of October – March. Just a three-hour drive from Houston, Hawkeye is open year round for hunting trips (in season), clay shooting, fishing, family reunions and business meetings. Various sized private lodges accommodate friends, families and business groups. Come spend a weekend at Hawkeye shooting, fishing or sitting around the fire pits and see what the Hawkeye mystique is all about. 16 hunter cap for our weekend, so sign up early to secure your spot! $1250* per hunter for 2 nights lodging (based on double occupancy), six meals, one mixed bird field hunt, one chucker shoot, one round of sporting clays and two nights of Five Stand. $450* per non-hunter for 2 nights lodging (based on double occupancy), and six meals. Clay shooting activities may be added for $30 per round. *Special Houston Safari Club Foundation pricing. $30 extra per night for single rooms. Liquor, ammo, taxes and tips are extra.